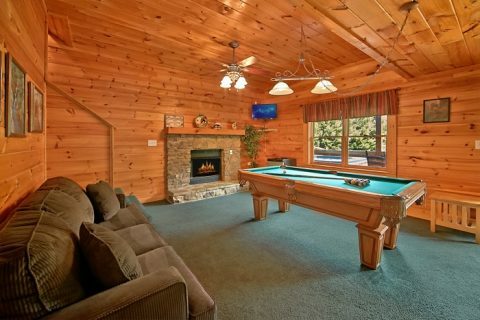 Timber Lodge, an immaculate Pigeon Forge 7 bedroom cabin rental, provides guests with swimming pool access in the summer, a year round hot tub, a pool table, a stand-up arcade game, and so much more! 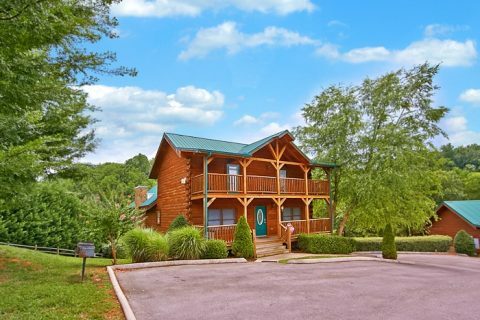 Located in Cabins At The Crossing Resort, this Pigeon Forge cabin with swimming pool access is just minutes from Dollywood and the fun-filled Pigeon Forge Parkway. 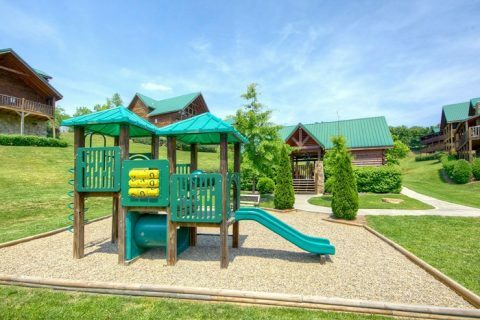 Moreover, at this cabin, family members of all ages will find plenty to see and do, starting with summertime access to the resort swimming pool featuring a pool house with changing rooms, free poolside WiFi Internet, picnic tables, and a nearby children’s playground! 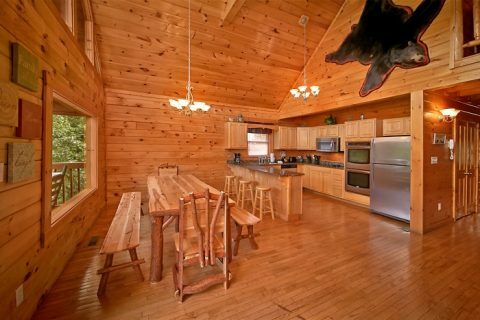 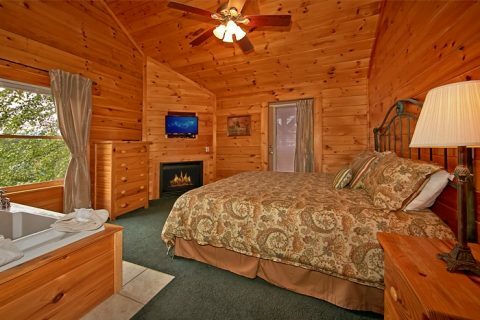 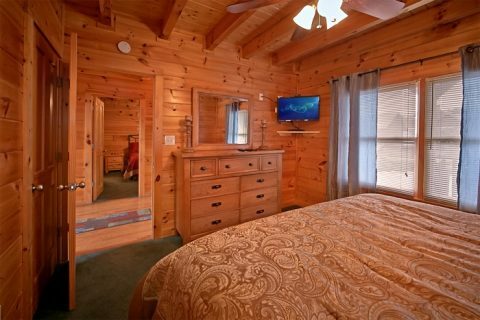 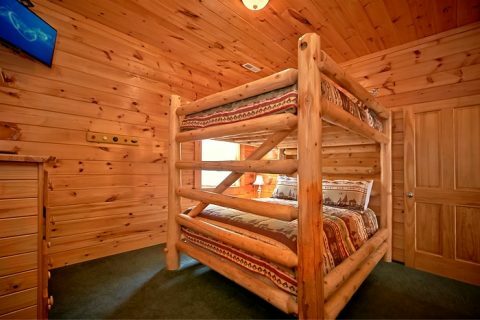 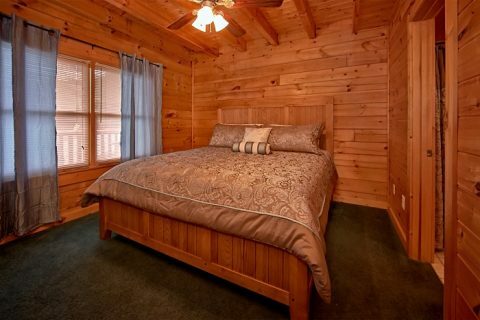 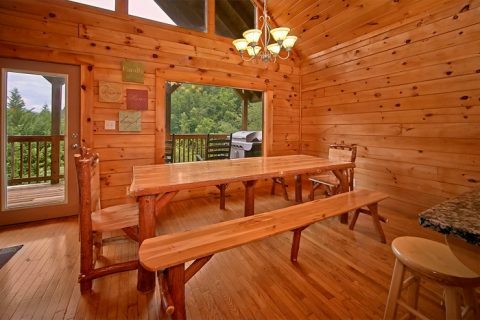 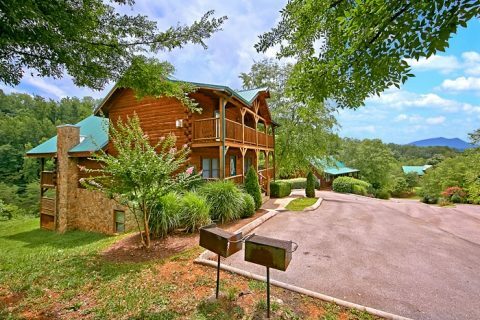 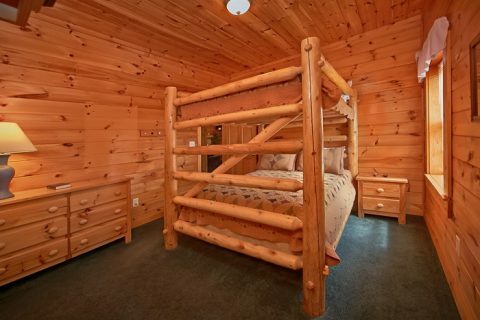 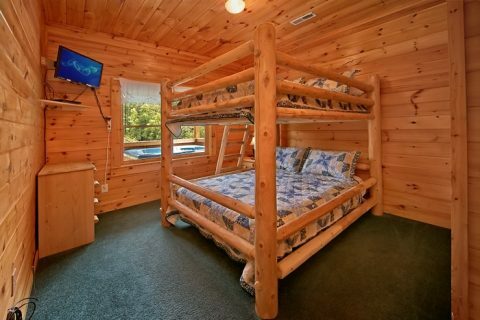 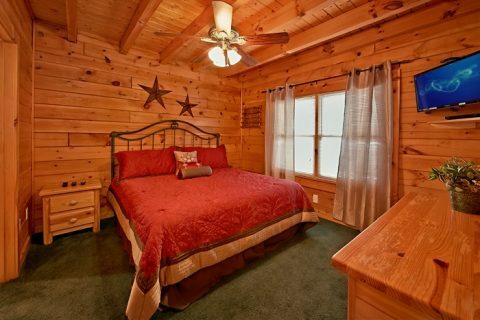 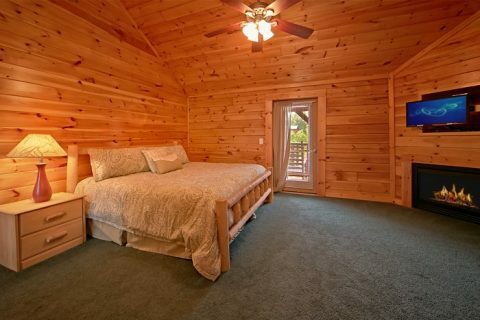 This spacious and affordable Pigeon Forge 7-bedroom cabin rental accommodates up to 22 guests with 4 king-sized beds, 3 sets of queen-sized bunk beds, and a sleeper sofa. 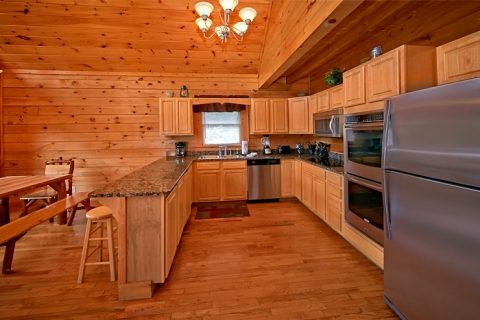 The large, open kitchen allows you to serve snacks and meals at your leisure and saves on costly meals out for large groups! 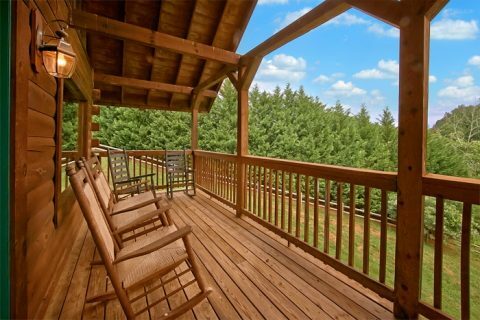 Additionally, this cabin's deck houses a charcoal grill for cookouts with family and friends while looking at the beautiful mountain scenery. 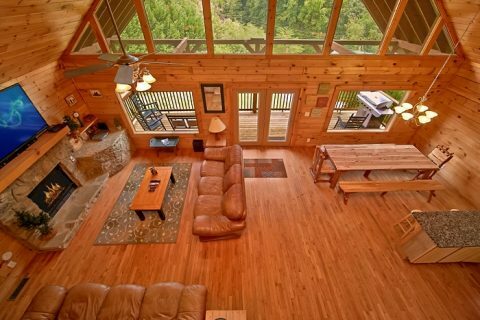 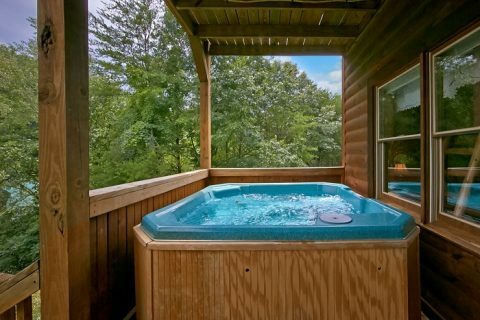 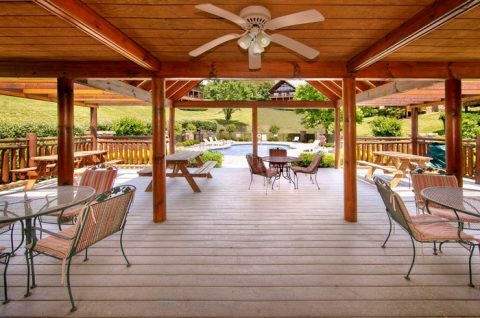 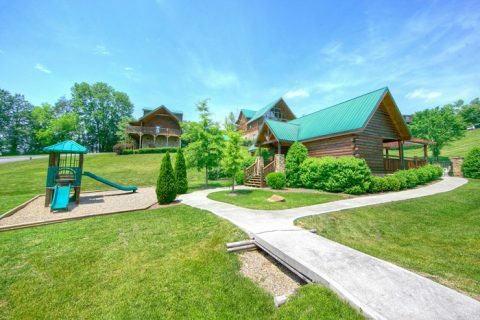 No matter what your idea of fun is, this Pigeon Forge cabin rental with swimming pool access provides it! 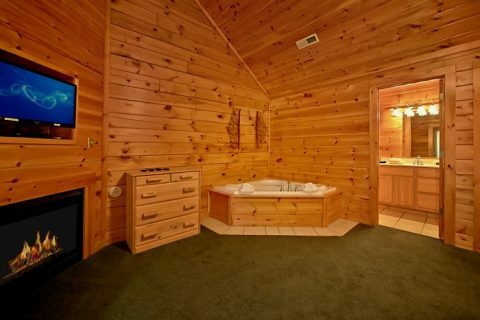 Take a nice relaxing jacuzzi bath at the end of the day! 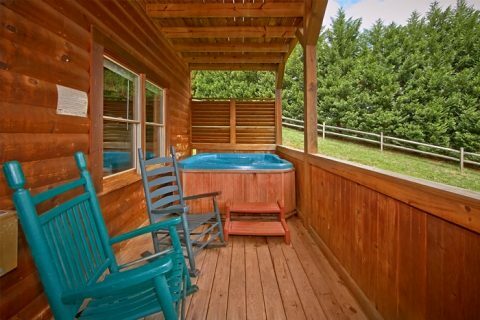 Gather the whole group together for a dip in the year-round hot tub with massaging warm water jets. 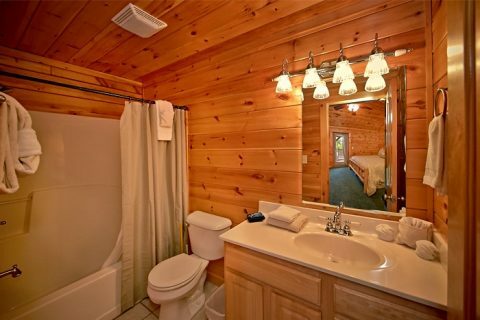 Bring your wireless devices and keep the entertainment going by streaming movies and games over the cabin's free WiFi Internet. 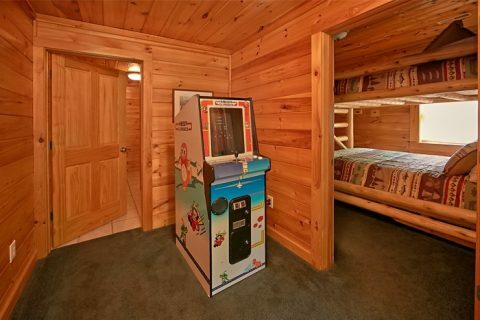 If you live for the thrill of a challenge, host a family tournament on the pool table or attempt to beat the high score on the standup video arcade game. 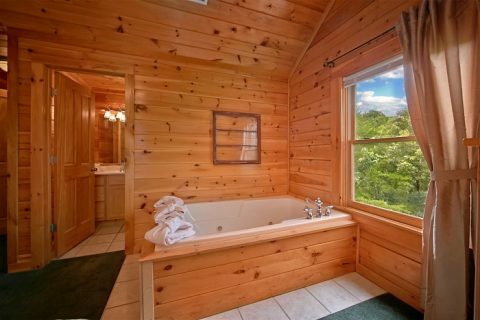 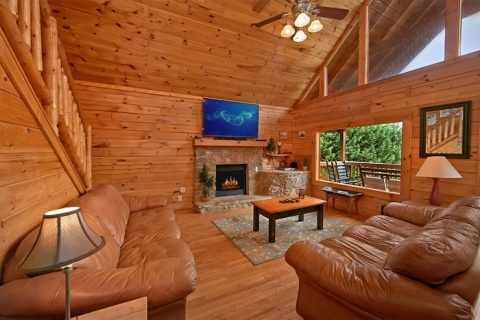 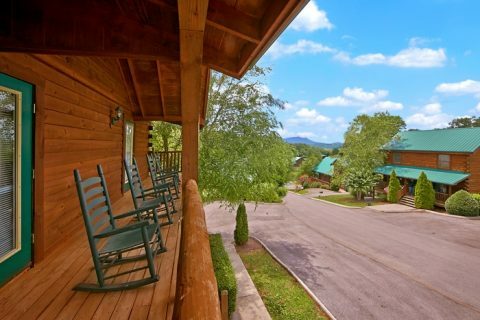 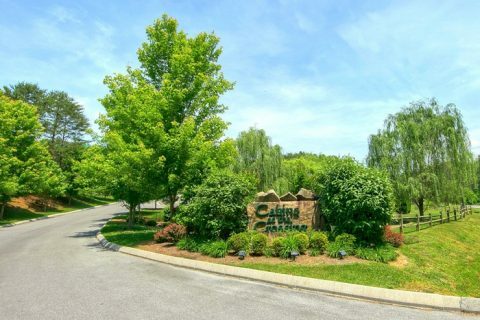 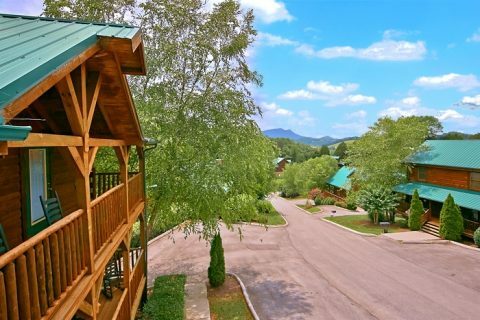 Book this wonderful Pigeon Forge 7-bedroom cabin rental with swimming pool access through Cabins USA for an immediate Online Cabin Discount and get ready for one of the most memorable vacations ever!